... a breezy summer blouse. 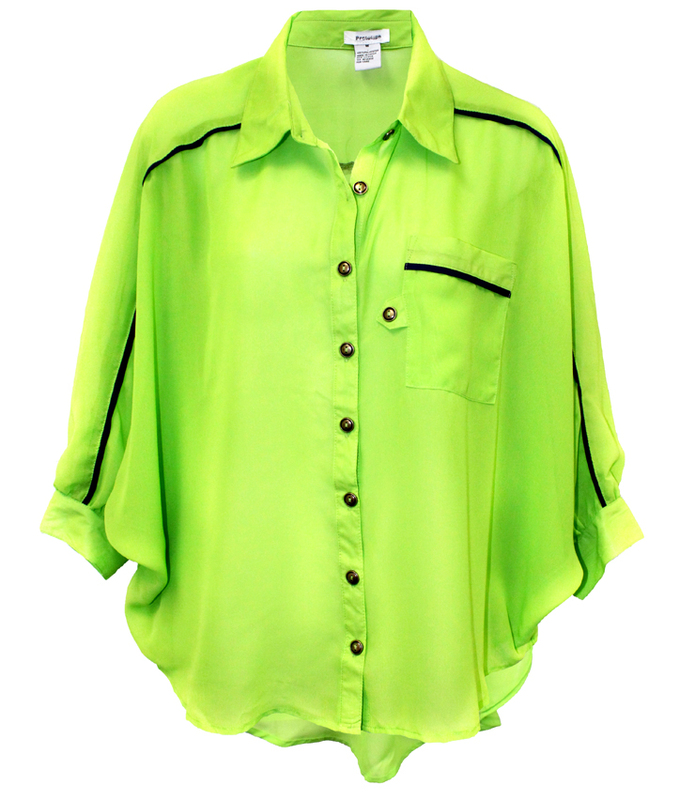 This sheer button front blouse features a draped silhouette, trendy hi-low hem and modern piping details. Layer over a camisole and cut-off shorts for an on-the-go effortlessly chic look.